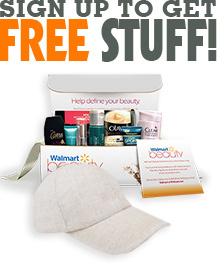 Get a free Amazon Luxury Beauty box! Contains samples from Vichy, Calvin Klein, Elizabeth Arden and many more Luxury Beauty brands. Samples may vary, nevertheless here is one example list of contents: Elizabeth Arden White Tea Eae de Toilette, Hyla3D HA Activating Complex, La Roche-Posay Anthelios Dry Touch Clear Skin Sunscreen, COLOR WOW One Minute Transformation Styling Cream, Phytospecific Thermoperfect 8, ELEMIS Pro-Collagen Marine Cream, L’Occitane Almond Delicious Hands Cream, iS CLINICAL Youth Eye Complex, Clark’s Botanicals Nourishing Youth Serum, Vichy Aqualia Thermal Rich Cream, Tantowel Half Body Classic Self Tanning Towelette, Mario Badescu Glycolic Acid Toner, Replenix Neckletage, Calvin Klein euphoria Eau de Parfum! Purchase the beauty sample box, then receive equal credit towards your next purchase! Get A Free Amazon Women's Luxury Beauty Box!